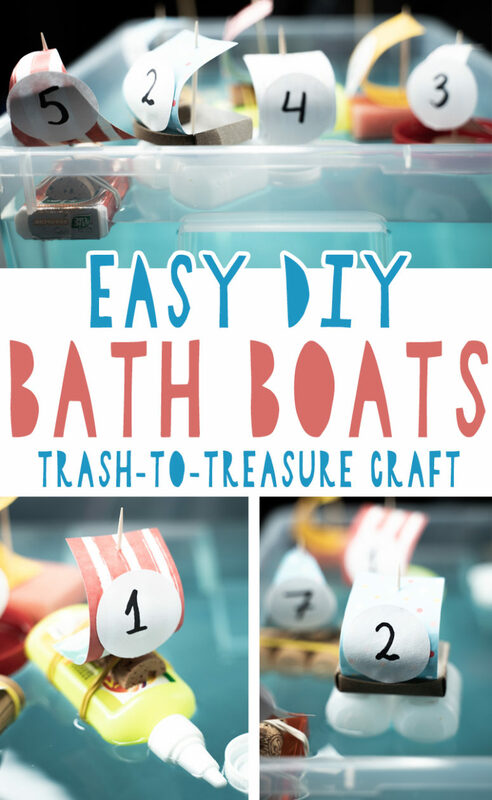 Are your kids bored with all kinds of bath toys? Then it’s time to organize a boat race! 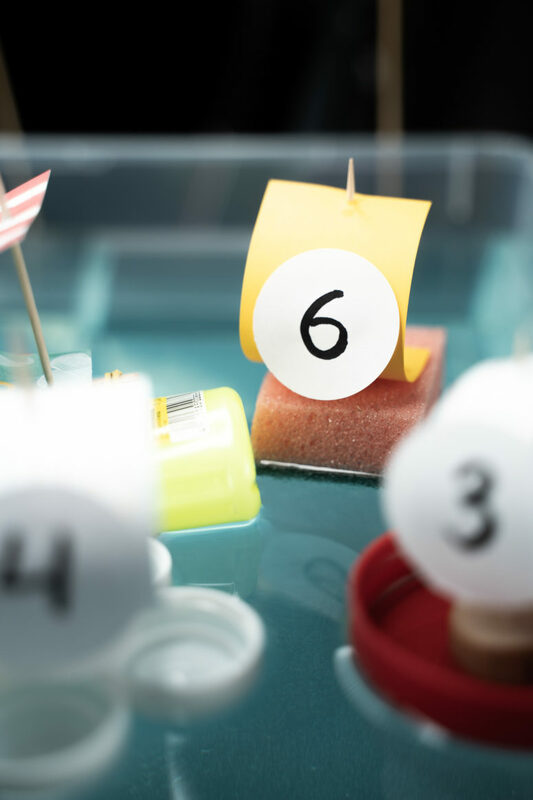 Here are 7 ideas to quickly make a boat of things that everyone has at home. 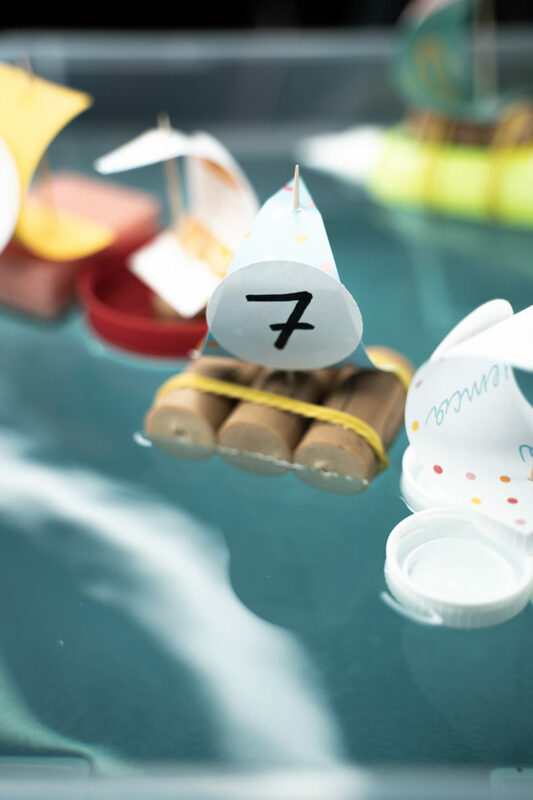 A yacht made of sponge, a speedboat made of containers from Kinder Surprise, a sailboat made of corks, ships from a tube of glue, a usual lid and wine corks will keep your child busy for a long time. 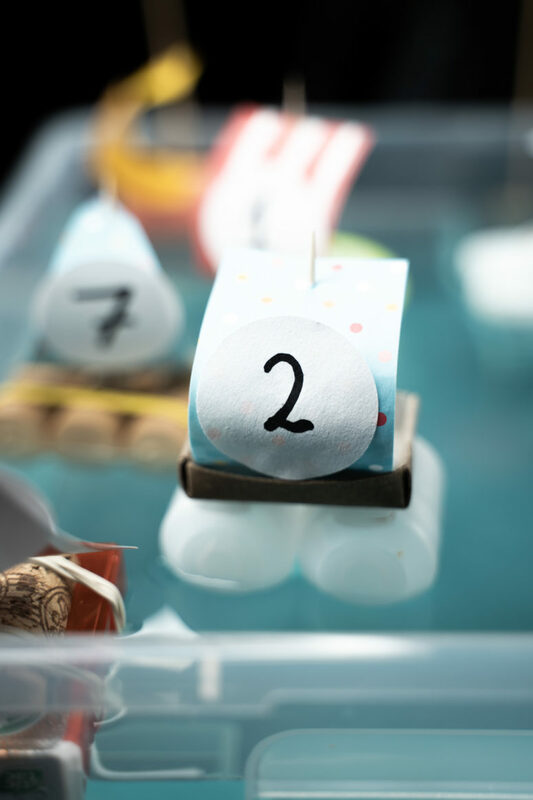 Inhale more air and check whose ship will reach the finish line faster! 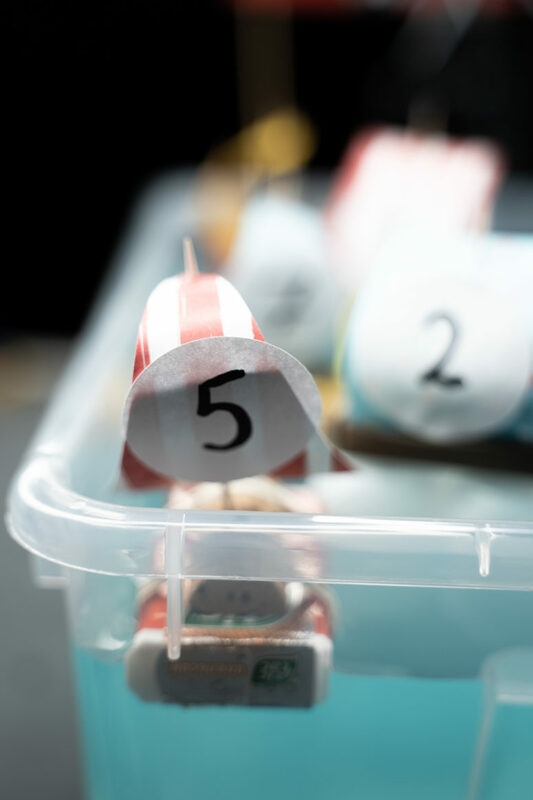 If there is no time for taking a bath, the race can be arranged in a large plastic box. Have fun! 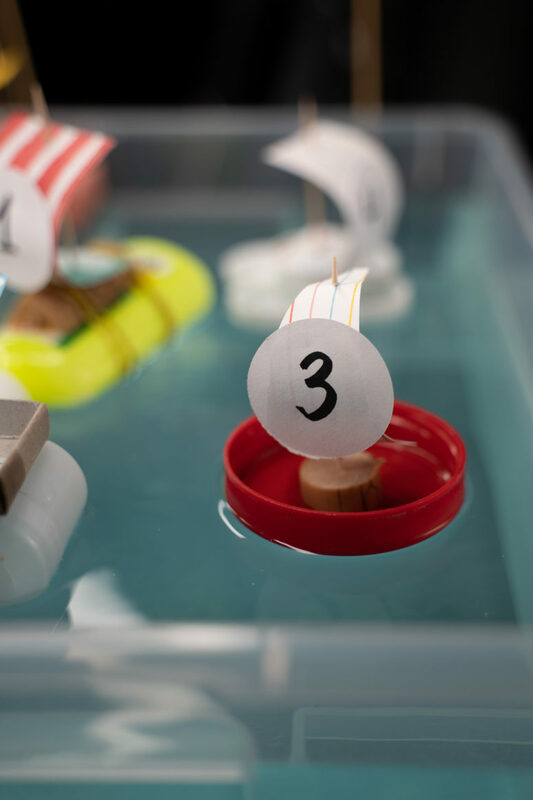 Take three wine corks and secure then with a couple of elastics, then take a sail made of paper, make holes with a punch and attach the sail with a toothpick to the boat. Take a usual sponge, cut it to the desired size, add a sail in the same way as above. Take a wine cork, cut it in halves and attach it to a Tic Tac box using elastics, attach the sail using a toothpick again. 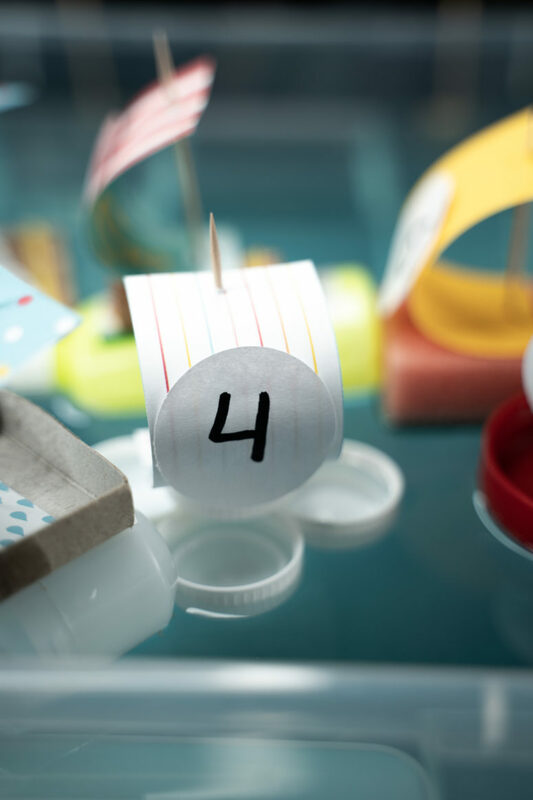 Take 5 bottle lids and attach four of them to each other using a hot glue gun, then attach the 5th on top of them. Cut off a wine cork slice and glue it inside this lid on top, then attach a sail as stated above. 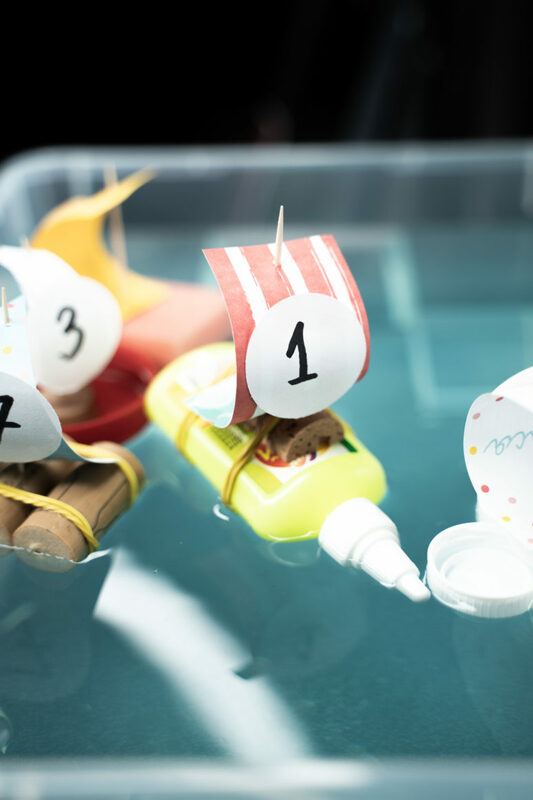 Take any plastic lid, hot glue a wine cork slice inside and attach a sail using a toothpick. Hot glue two Kinder Surprise eggs to each other, then hot glue a match box on top. Attach a sail using a toothpick as before. Take an empty glue bottle, attach a wine cork with elastic to it and then just attach a sail using a toothpick on top.